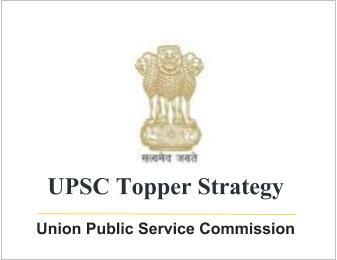 UPSC Topper Strategy for Public Administration - Mains by Mr. Anay Dwivedi | IAS EXAM PORTAL - India's Largest Community for UPSC Exam Aspirants. Study topic-wise from the syllabus and do not aim at finishing books. I didn’t read the following books from cover to cover. Instead, I just prepared topic wise and referred the books for content. Roughly, 30 % of my content was from the books, 10% from internet and 60% was from newspapers. That is why, newspaper reading is EXTREMELY IMPORTANT. Do refer the GS Mains post for newspaper reading. (I must have read 50-60% of it, just to prepare notes. Only those chapters which were mentioned in the syllabus). (Must have read just 10-15% of it as I had good knowledge about Indian administration already). (The best book on thinkers. More than enough is given. Nothing else is required). (Only 2 topics: budget and public policy making). DD Basu’s Indian Constitution is in fact the best book for paper 2. The single-most important source for content in pub ad. No special reading of the newspapers is required for pub ad. When I read the newspapers, it was not for GS, psychology, pub ad, essay, etc specifically. Instead, the focus was on gaining factual knowledge which I could apply in all the papers. Kindly refer the GS mains section for further details. I looked up on the net for paper 2. For paper 1, only few topics here and there, where I felt I didn’t have enough content. But certainly there is no use of looking up the net for thinkers, etc. Prasad and Prasad is more than enough. For paper 2, government websites are the best. Topics such as disaster (NDMA website), human rights (NHRC website),Controller General of Accounts, etc can be effectively covered. The sites are updated regularly and not only content but very good diagrams, flowcharts and organizational hierarchy is depicted. Wikipedia , google & yahoo are also good for topics such as SHGs, social audit, etc. Before talking about strategy, I would like to point out that public administration was my 2nd optional. I have never read Laxmikant and other books before. If you have referred many other books, as I said, knowledge never goes waste. (I have copy-pasted the following from Psychology- Mains post. It remains the same for all optionals I guess). First and foremost, do not aim at finishing books. You have to cover the syllabus topic-wise. Take a printout of the syllabus from the UPSC website and try to cover the topics one by one. I prepared the full syllabus as I felt anything can be asked for a 60 marker. Do not study something thinking that it is for paper 1, etc. Everything you study can be applied anywhere. I counted the number of topics in the syllabus (x in chapter 1, y in chapter 2, z in chapter 3 and so on. total x+y+z…). I aimed at covering 5 topics everyday. While finding content on a particular topic, I referred standard books, internet and above all newspapers. As compared to psychology, I hardly prepared notes for pub ad. Only 1st 2 chapters in paper 1 and the 1st chapter in paper 2 require note-making. Rest all is general knowledge. So read the newspapers and applied the facts to pub ad answers everywhere. But once I prepared a given topic, I never picked up the book or notes again to refer what was given. I relied on what I had written on that topic from then on. The strategy should be to revise your notes again and again at least 7-8 times. I started this exercise in the first week of June and aimed at finishing it by September 1st. But eventually was able to do it by September end.